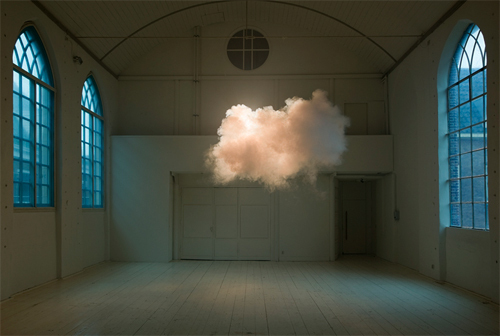 Cloud in a Room, by artist Berndnaut Smilde. Image from http://alfalfastudio.com/a-cloud-inside-your-room-by-berndnaut-smilde/. For me, clouds recall lazy summer afternoons spent splayed in the cool grass, searching for sky sheep. Since I have moved to the FOG ZONE, however, summers are mostly frigid and gray. On rare clear days, the blue above is nearly always spotless. Sunsets are quick and unremarkable. Imagine my excitement to discover that I could make my own clouds! This experiment is fast and easy, but the science and dialogue can go as deep as you wish. 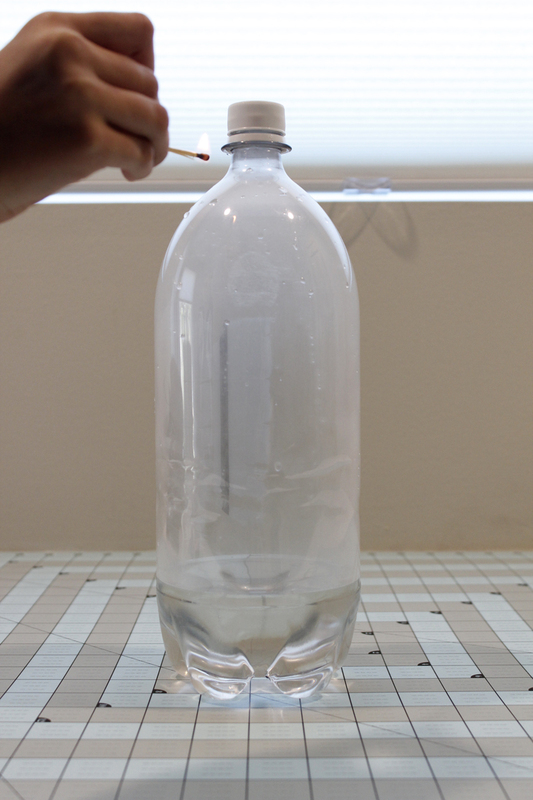 To make your own cloud, all you need is an empty plastic 2-liter bottle and a couple of matches. 2. Try squeezing the bottle now. Hard. Pretty boring, huh? 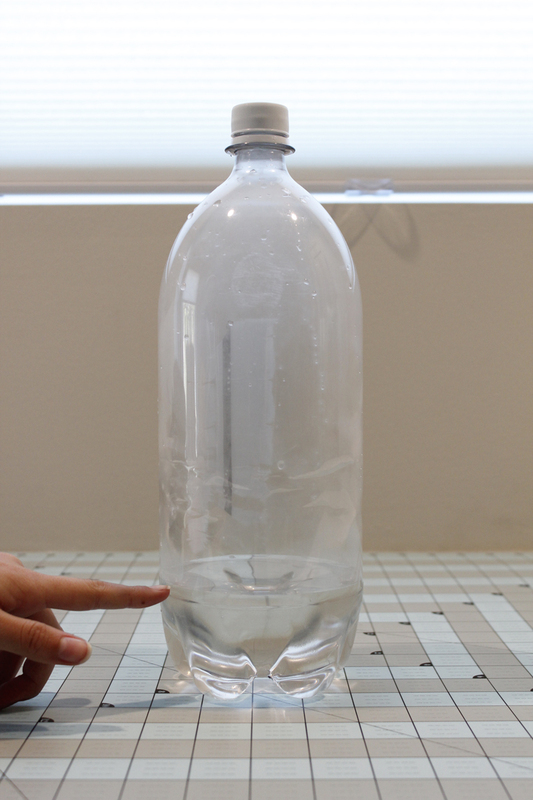 To make a visible cloud, you need dust or smoke particles to attach to the water droplets. It’s good to have a helper so you don’t burn your fingers while trying to unscrew the cap. 3. Open the cap. 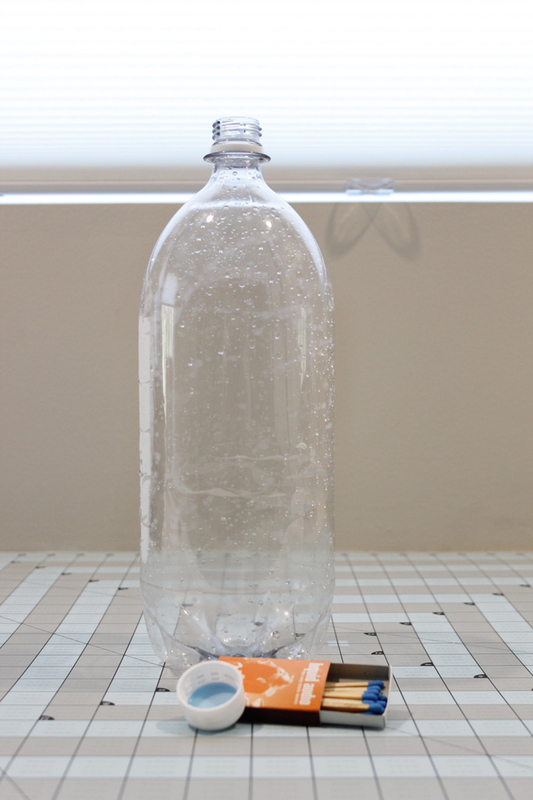 Light a match and toss it carefully into the bottle. Cap it immediately. 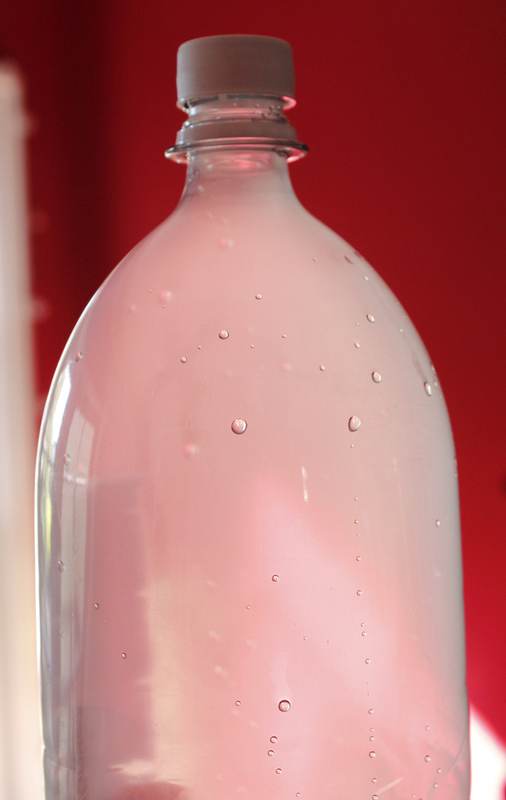 The tiny particles of smoke will be trapped in the bottle. 4. Now squeeze. Air pressure is the last ingredient to form a cloud. Check it out! You made a cloud! 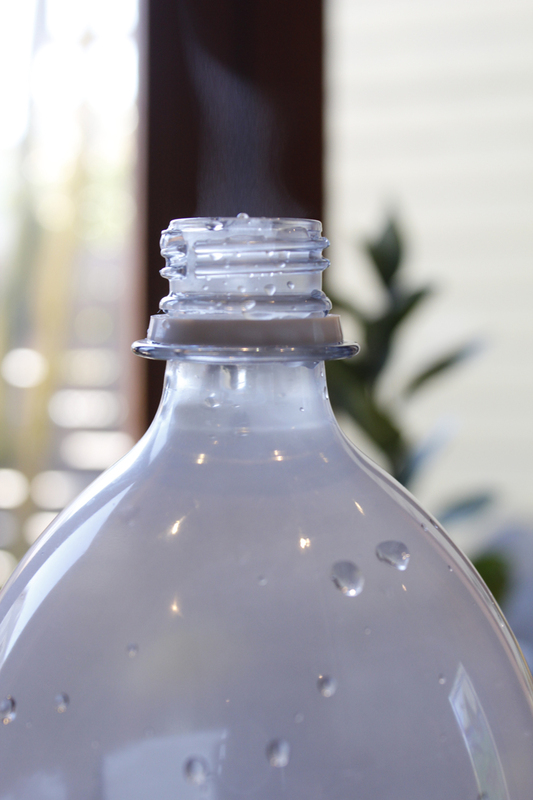 If you take the cap off and gently squeeze the bottle, little puffs of cloud will float out. It’s like blowing smoke rings, without the emphysema. More impressive in person. Escaping clouds do not stop to pose for the camera. Workaround: No matches? You can use a lighter if you pair it with a taper candle. 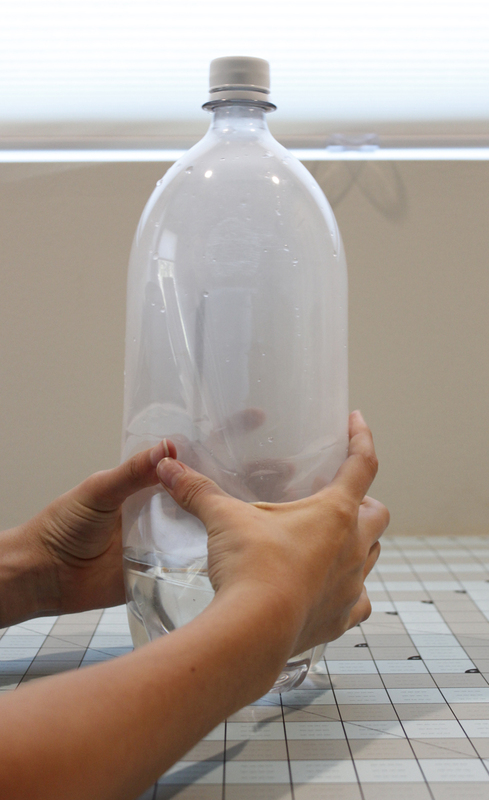 Light the candle, open the bottle, and blow it out as you shove it briefly into the bottle opening. Pull the candle out and cap tightly. Bogus Variation: I had read that you can make different colored clouds by adding food coloring to the warm water. Sadly, all my clouds were white, regardless of the color of the water. Weather Wiz Kids has a great website to answer all kinds of questions: Why do clouds float? How do clouds move? Why do some clouds turn gray? If you keep scrolling down on the linked page, you will come to a cloud guide–with photographs–to help you distinguish between cumulus, cirrus, nimbostratus, and many cloud types. There are lots of other activities and experiments, including how to make fog using a jar of hot water, a sieve, and ice. Wikihow has an essay entitled, “14 Ways to Predict the Weather Using Clouds.” The pictures aren’t great–why wouldn’t you just use photographs?–but each type of cloud is described as it relates to temperature, precipitation, and predicting upcoming weather events. Making my own cloud was easy and fun, but did not put me on cloud nine, luckily. That would be uncomfortable. Rumor has it that temperatures can drop below -30° C in those high clouds.